Coupon for laundry detergent because who doesn’t have dirty clothes to wash? 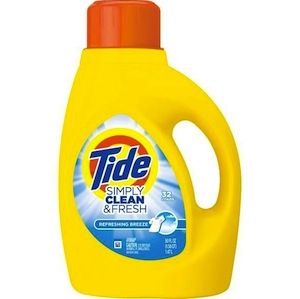 This coupon can be found at Brandsaver.ca to save $0.50 on Tide Simply Clean & Fresh laundry detergent. This coupon can be used in any grocery store, supermarket, drug store across Canada. A laundry detergent that is tough on odors and easy on your wallet. Tide Simply Clean & Fresh is formulated to deliver a thorough clean that helps to eliminate tough odors. With just one dose, you’ll get a consistent, quality clean in every load.